Do you need a water heater installed or serviced in the Delaware or Maryland area? Call Peninsula. We provide expert installation and service of water heaters of all kinds—electric, gas, and tankless. If you need a water heater replacement, contact us. We can recommend the best make and model for your needs. Whether you need your current water heater repaired or you’re in the market for a brand new one, we can help. Call Peninsula today at 302-629-3001302-629-3001. All home water heaters accomplish the same task—heating water for your family’s use—but they do it in slightly different ways. An electric water heater has two metal heating elements: upper and lower. Cold water is delivered to the bottom of the tank, where the lower heating element warms it up. The upper heating element is only activated when there is a high demand for hot water. Gas water heaters work similarly to electric units, in that the cold water is delivered to the bottom of the tank and then heated. However, the water is heated by a gas burner rather than a metal heating element. The tankless water heater is gaining a reputation for energy efficiency and reliability. It heats water on demand (it is sometimes called an “on-demand” water heater) and therefore uses less energy overall. There are two types of tankless water heaters: point-of-use, which delivers hot water to one specific point, and whole-house, which produces enough hot water for an entire household’s use. They can be powered by gas, propane, or electricity. Choosing the right water heater for your home depends on many factors. Each type has its own characteristics to consider. Electric water heaters usually cost slightly less to purchase and are easy to maintain. They heat water quickly and many are highly energy-efficient. Gas water heaters typically have a higher purchase price, but can cost less to operate. Tank-style gas water heaters are not affected by power outages. Tankless water heaters generally require a higher upfront cost, but can shrink energy usage by up to 30 percent. They are compact, taking up little space, and are a good choice for vacation houses or homes occupied only part-time. The choice may be obvious, depending on your home’s access to a gas line or other features, but we are always happy to answer any questions you have! If you want to know more about the water heaters Peninsula offers, please give us a call at 302-629-3001302-629-3001. The best way to ensure that you have hot water every time you need it is to keep your water heater in good working order with regular maintenance. Over time, sediment can build up in the tank, causing your water heater to run less effectively. We can drain and flush the tank to get it clean and back up to good working order again. 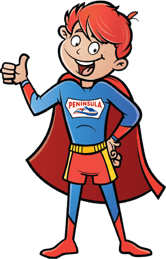 Peninsula recommends having your water heater inspected once a year by a professional service tech. This way, any potential problems can be identified before they catch you unawares. We perform water heater repair on units of any make and model, whether we installed them or not! Peninsula has been in the HVAC business for the better part of a century. 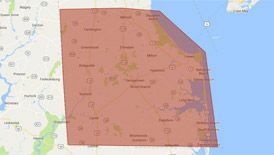 We’ve earned a reputation of trustworthiness and quality service among your friends and neighbors in the Delmarva Peninsula. Your comfort and satisfaction is our top priority! Contact us today. Contact Peninsula for all your water heater installation and service needs.